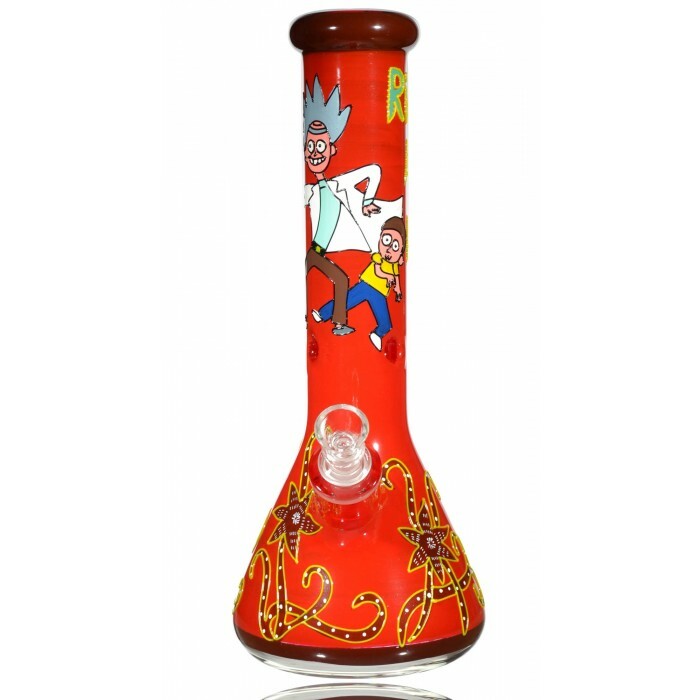 Best Buds - 12.5” Red Rick and Morty Bong with 3D Artwork -The Greatest Online Smoke Shop! Rick and Morty themselves are featured on the red body of the piece. 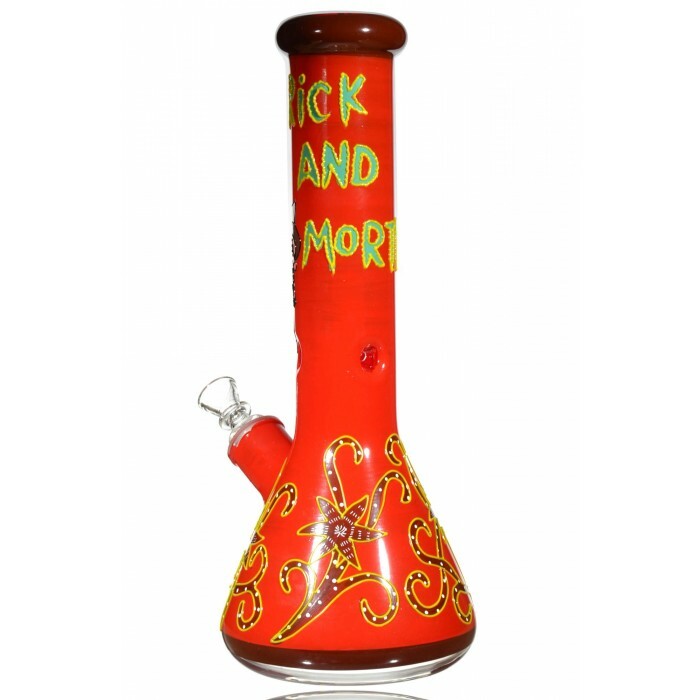 RIck and Morty name logo is also on the bong. 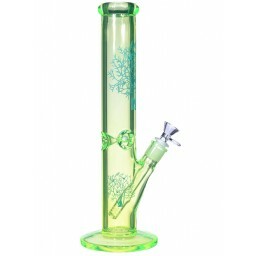 Bottom of the bong is covered in trippy flowers. Rick and Morty! Who doesn’t love the time-traveling universe-hopping adventures of these two? Who doesn’t love smoking a nice bowl before watching a few episodes? 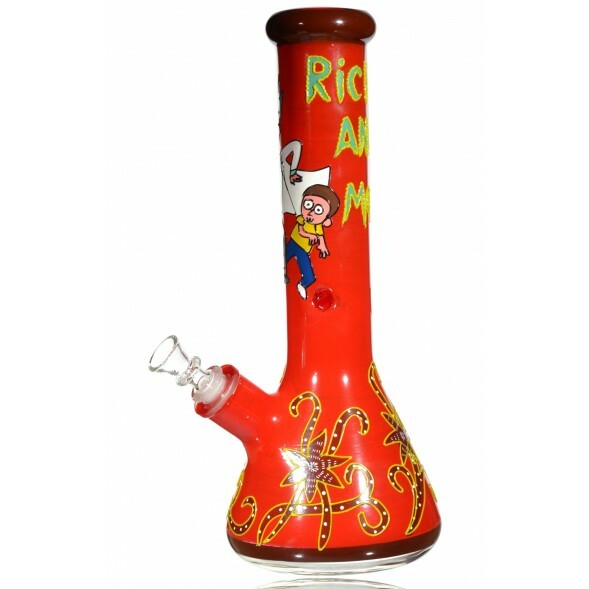 That is why we have this awesome Rick and Morty Bong. 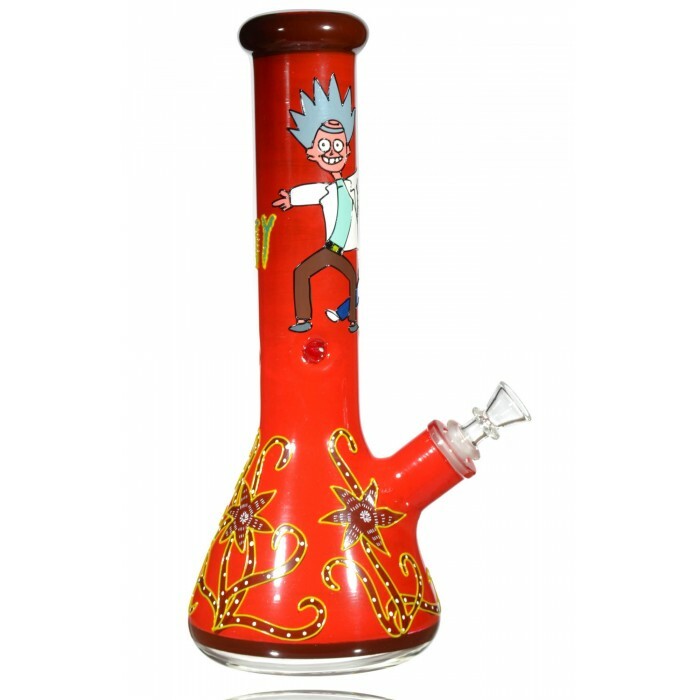 On the red body of the piece sits Rick and Morty themselves, their famous logo, and a bunch of trippy flowers. All of these are painted in a textured 3D style, so they look and feel like their coming off the bong! 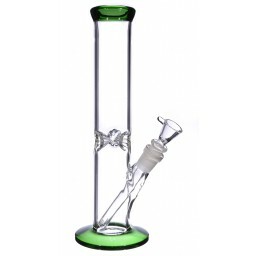 Besides a dope look, we wanted to make sure that this bong was a beast when it came to quality. 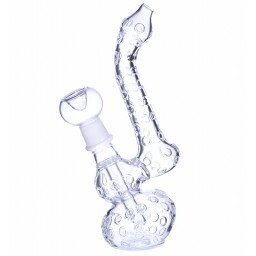 First, there is an ice catcher that’ll hold a couple ice cubes, keeping your smoke cool. 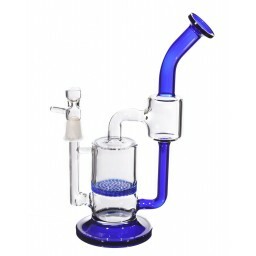 That is why it is made of 6mm thick glass, super durable. 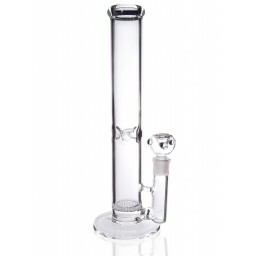 Plus, at 12.5” with a 5” chamber, you’re getting huge hits and a stable piece when you put it down. 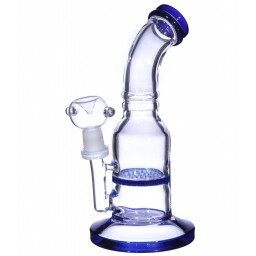 It also comes with a 14mm bowl and downstem, for your convenience. 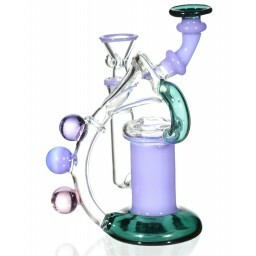 Make Rick and Morty proud, smoke something crazy! 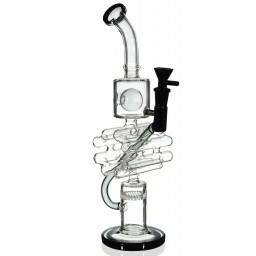 14" Single Honeycomb - Extra heavy !! !